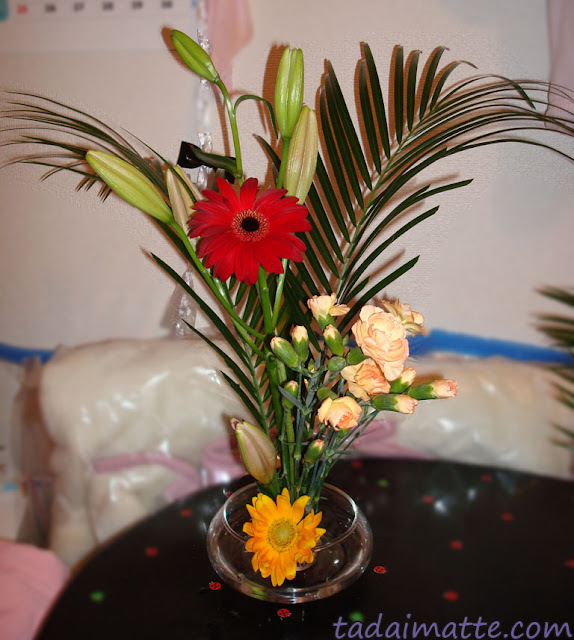 Nothing special, but this was the flower arrangement I did as part of Mid-Year-Seminar cultural studies in December 2008. I always really enjoyed ikebana (flower arranging) and wanted to study it more, but it seemed like such a waste to bring home beautiful flowers, and put them...where? On top of my VCR? I just didn't have the space to display them. The few times I did ikebana, I brought the arrangements to school, but transporting and re-setting them was quite the hassle.